MELVILLE, NY (February 13, 2019 at 11:01 P.M. EST) – Today, Nikon Inc. announced the NIKKOR Z 24-70mm f/2.8 S: a much-anticipated, fast-aperture zoom lens that’s ideal for professional and advanced photographers who capture portraits, landscapes, weddings and events, as well as content creators who shoot video using Nikon’s revolutionary new Z Mount System. Designed to take full advantage of the wider, brighter and faster Z Mount, this new S-Line lens delivers stunning sharpness all the way to the corners of the frame, even when used at its maximum aperture. The NIKKOR Z 24-70mm f/2.8 S is the first NIKKOR lens to use the all new Nikon-designed ARNEO coat, which is used in conjunction with Nikon’s Nano Crystal Coat to significantly minimize flare and ghosting. The lens also includes Nikon’s new Multi-Focus System to help ensure fast and accurate autofocus even when shooting close-up subjects. 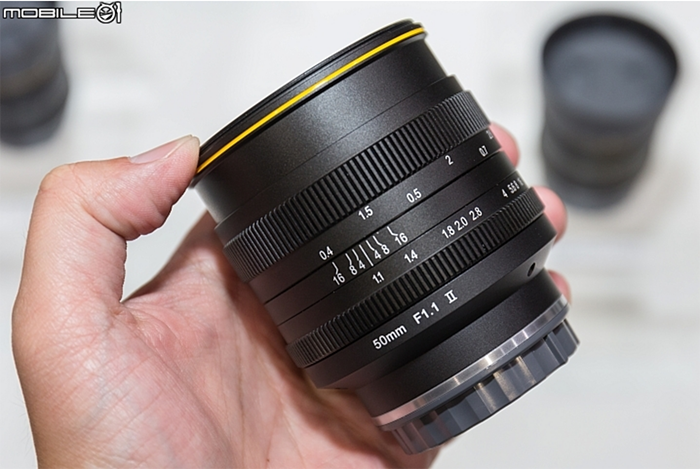 Additionally, the 24-70mm f/2.8 S is the first NIKKOR Z lens to feature a dedicated manual focus ring independent of the customizable control ring, a Function (L-Fn) button, and an Organic EL Lens Information Panel for quick reference of key settings such as focus distance, depth-of-field, aperture and focal length. The NIKKOR Z 24-70mm f/2.8 S builds on a century of Nikon optical heritage by harnessing the technical advantages of the Z Mount. This type of lens is known as a photographer favorite due to its versatility, useful zoom range, fast aperture and sharpness. Nikon was able to redesign this all-around zoom lens to achieve a new standard of performance, while making it both smaller and lighter—approximately 24.7% lighter and 18.4% shorter than the popular AF-S NIKKOR 24-70mm f/2.8E ED VR lens. The NIKKOR Z 24-70mm f/2.8 S takes advantage of the latest optical technologies to ensure exceptional control of aberration, ghosting and flare. Featuring an optical construction of 17 elements in 15 groups—including two ED glass elements and four aspherical elements—the lens delivers sharp, virtually vignette-free performance from edge-to-edge across its entire zoom range, even at maximum aperture. To help ensure fast, accurate and silent autofocus, the NIKKOR Z 24-70mm f/2.8 S combines a powerful stepping motor (STM) with Nikon’s new Multi-Focus System. This system uses two actuators to move two focus groups at once, enabling the lens to achieve critical focus rapidly from nearly any distance, including close-up shooting. The 24-70mm f/2.8 S is the most customizable NIKKOR Z lens yet. The lens features an Organic EL Lens Information Panel that allows for quick confirmation of aperture and focal length or focus distance and depth-of-field without looking at the viewfinder. For enhanced versatility, the addition of a L-Fn button allows you to set over 20 custom functions when shooting stills. 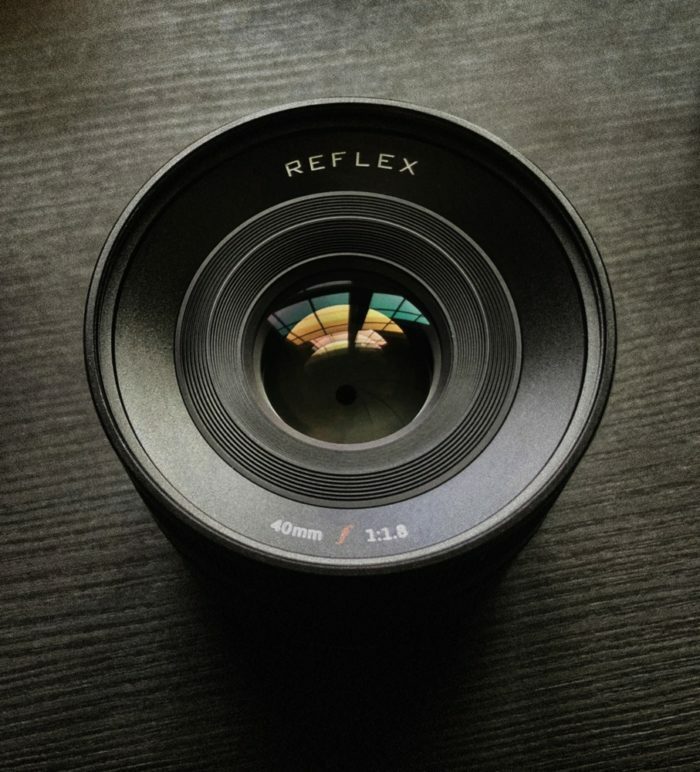 The lens is also the first to feature an independent focus ring in addition to the customizable control ring found on all S-Line lenses, giving professional photographers and videographers more comfortable and convenient control over their shooting experience. Finally, the NIKKOR Z 24-70mm f/2.8 S was designed to excel at video in addition to stills capture, taking full advantage of the industry-leading video features found in the Nikon Z 6 and Z 7. Its design minimizes focus breathing, preventing the angle of view from changing when the focus is adjusted; the stepping motor and Multi-Focus System ensure fast, accurate and quiet focusing; full compatibility with the built-in 5-axis VR of the Nikon Z System ensures users can capture super-smooth video hand-held; and the customizable control ring, independent focus ring and Organic EL panel give filmmakers even more control over this exceptional lens on-set. The NIKKOR Z 24-70mm f/2.8 S is destined to be an instant classic—a must-own lens for Nikon Z Series creators of all types. An indispensable standard zoom lens for professionals, advanced photographers and video creators—ideal for environmental portraits, landscapes, weddings, events, studio and street photography. Constant f/2.8 aperture throughout the zoom range delivers the subject separation, speed and gorgeous bokeh professionals demand. 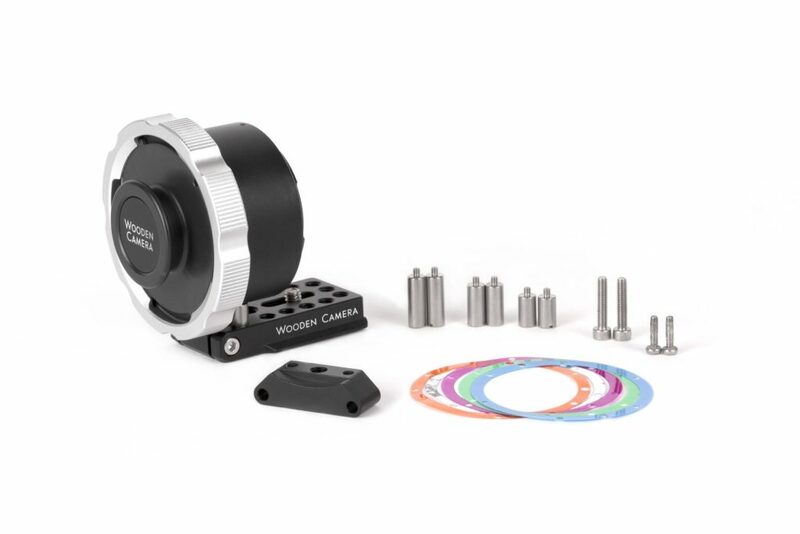 Exceptional optical performance achieves edge-to-edge sharpness and minimal aberration in an incredibly lightweight and portable package, thanks to the revolutionary new Z mount. All-new ARNEO coating works in conjunction with Nikon’s Nano Crystal Coat to minimize ghosting and flare when the light source is within the frame. Fast, accurate and quiet autofocus throughout the zoom range, thanks to Nikon-designed Multi-Focus System and Stepping Motor. Built-in Function (L-Fn) button, Organic EL Lens Information Panel and independent focus ring give creators more control over their shooting experience. Fully compatible with in-camera 5-axis VR found in the Nikon Z 6 and Z 7, providing up to 5 stops1 of image stabilization without adding to the size or weight of the lens. 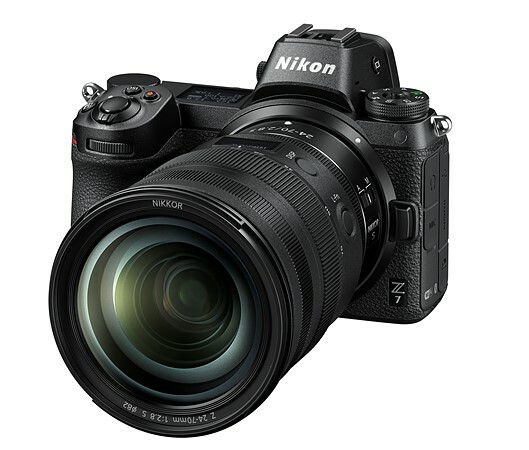 Optimized for video, with reduced focus breathing, a quiet stepping motor, customizable control ring, and the ability to take advantage of the in-camera 5-axis VR + eVR of the Nikon Z 6 and Z 7. Designed with consideration to dust and drip resistance, and featuring a fluorine coat that effectively repels dust, water droplets, grease and dirt. The NIKKOR Z 24-70mm f/2.8 S will be available in spring 2019 at a suggested retail price (SRP) of $2,299.952. For more information about this lens, as well as the latest Nikon products including the full Nikon Z Mount System, please visit www.nikonusa.com. 1. Based on CIPA Standard. This value is achieved when FX-format compatible lenses are attached to a FX-format digital SLR camera and zoom lenses are set at the maximum telephoto position. 2. SRP (Suggested Retail Price) listed only as a suggestion. Actual prices are set by dealers and are subject to change at any time. 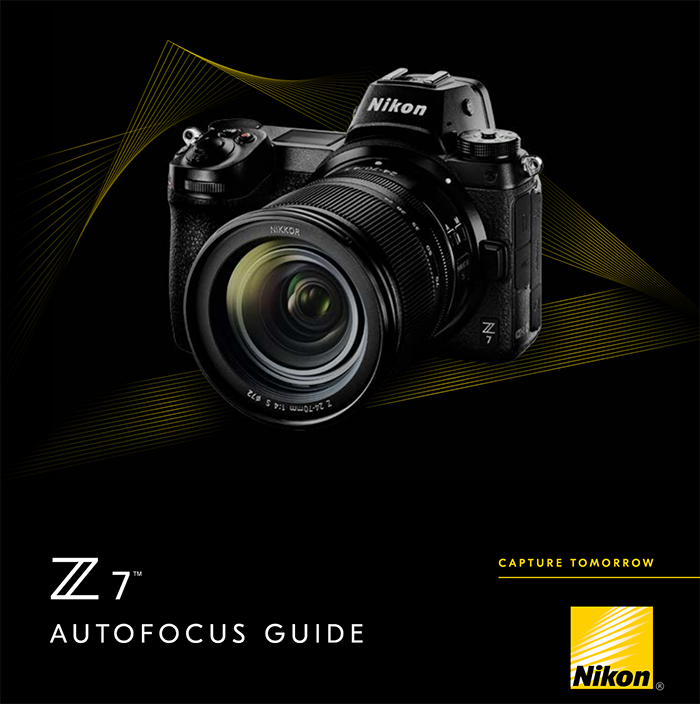 MELVILLE, NY (February 13, 2019 at 11:01 P.M. EST) – Nikon Inc. is pleased to announce additional details regarding the development of new firmware for its full-frame mirrorless cameras, the Nikon Z 7 and Nikon Z 6. 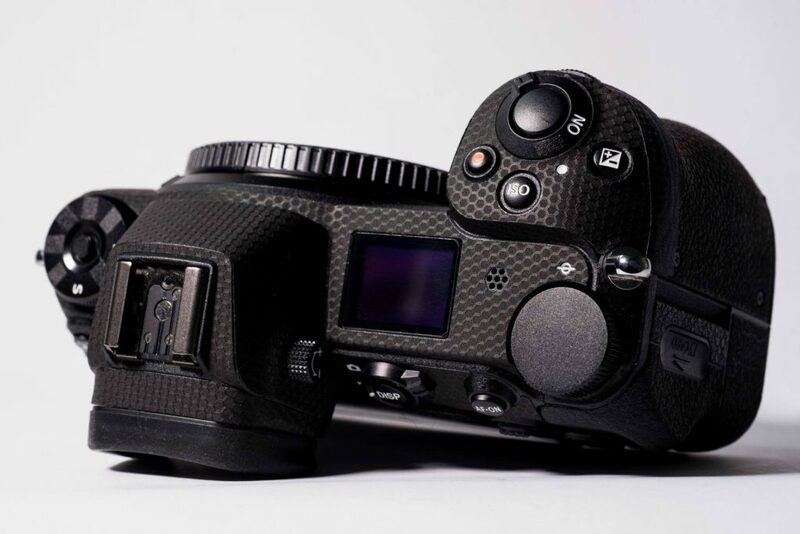 The firmware in development includes new functions for the Z 7 and Z 6, such as Eye-Detection AF, RAW video output, and support for CFexpress memory cards. In addition, the cameras’ AF/AE functions will be further improved. 1. 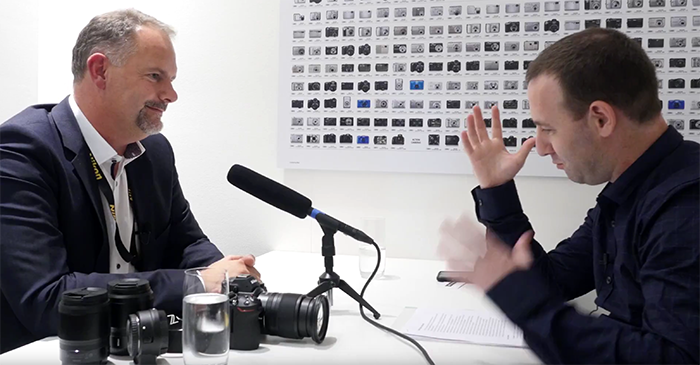 Support for Eye-Detection AF for still image shooting (scheduled for release in May 2019). – the camera is in mode M (manual) and On is selected for ISO sensitivity settings > Auto ISO control (mode M) in the MOVIE SHOOTING MENU. • Fixed an issue that resulted in third-party software showing an incorrect value for the Exif 35 mm format equivalent focal length field for photographs taken with a non-CPU lens connected via an FTZ mount adapter with the focal length specified using the Non-CPU lens data item in the SETUP MENU. • Fixed an issue that resulted in photographs taken using radio-controlled Advanced Wireless Lighting being overexposed if a face was detected with Auto-area AF selected for AF-area mode. Note: Please be sure to also read ‘Changes from Previous Versions’, which has been updated with new additions to ‘Changes from “C” Firmware Version 1.01 to 1.02’. • Fixed an issue that resulted in an incorrect aperture being selected in mode P (programmed auto) with a flash mounted on the camera under conditions in which f/32 would normally be selected. – Enable selected for Custom Setting d5 (Electronic front-curtain shutter) in the CUSTOM SETTING MENU. Wooden launched their new Nikon Z Mount to PL Mount Adapter. 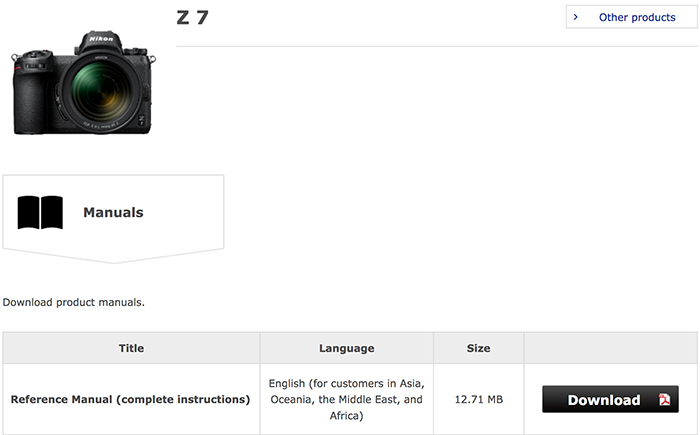 Nikon published a simple guide (PDF file here) to explain how the Z camera autofocus system works. Check it out! Nikon Z7 camera has no issue at all to work in snowy conditions!